While some students travel out of state for Spring Break, a small group participated in the first ever Camp SpARTan. The University of Tampa partnered with Very Special Arts Florida (VSAFL) to create an art camp that would immerse elementary school students in different types of art styles, such as painting, music, and dancing. 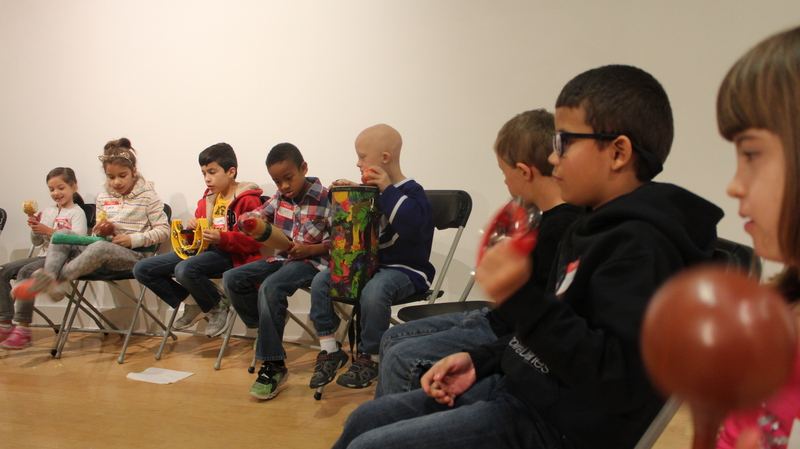 The week-long camp was held at the Scarfone/Hartley Gallery. The camp was guided towards elementary-age students that are identified in Florida school systems as Exceptional Student Education (ESE) students. Director of Programs for VSAFL Wendy Finklea said some of the students enrolled in the camp are on the autism spectrum or have a learning disability. That made the first day transition a bit of a challenge. Things such as bright lights and loud music had to be monitored to make sure all kids were comfortable in the unfamiliar environment. Finklea made sure the lights were dimmed down, and the music teachers made certain the volume was an appropriate level. By the end of the first day the camp was running like clockwork. Finklea credits the teachers that have worked with VSAFL in the past, as well as UT art therapy students who volunteered to work with the ESE students. Stephanie Wray, an art therapy professor at UT, was one of the teachers at the camp. Wray created the arts and crafts experientals for the students. Wray worked with VSAFL and came up with the theme of Animals in Florida. She created crafts that would use mixed media, which are crafts that incorporate more than one material to make. The crafts involve coloring, painting and using construction paper. Wray also brought in volunteers to the camp to help her out, including students from her own class. For Wray, this was a great way to incorporate what she was teaching in class so that the students could come to the camp and put what they learned into action. “There’s no book on how to do [art therapy]. You’re constantly learning from every interaction you’re having with a child or an adult,” Wray said. She says the support from her classes was positive and that some of her volunteering students weren’t art therapy majors or artists. Wray said her expectations for the camp were simply to create art. “The only really expectation I have is that we create, and even if it’s something that they don’t end up creating the exact project as long as they’re creating something and benefiting out of it, that’s what I really care about,” Wray said. The week ended with the students showcasing their art at the gallery to present to their parents and guests. They also sang and danced to songs choreographed by other VSAFL teachers. Finklea said the weeks-long camp was a hit with parents. Some parents asked if there will be a summer program to which Finklea responded the success of this camp will tell.